Acquire, start, or manage your practice with extensive financial services, plus complimentary professional support to help you optimize your business. Practice loans can help facilitate key transitional events, including acquisitions, practice start-ups, expansions, and transitions. Full-service banking can support ongoing business needs, from daily operations to long-term financial management. Practice support. Improve your business acumen with personalized coaching and healthcare-specific management tools. Professional introductions. Develop viable growth strategies with the help of healthcare business specialists. Project assistance. Stay focused on your practice while our team focuses on helping you keep your project on track. Learn more about these flexible programs for your specialized needs. Submission requirements vary. For full details, ask your Practice Finance financing specialist. As a new customer, you’ll have access to complimentary support resources that can help you build a strong foundation for growth and make informed decisions about your practice. 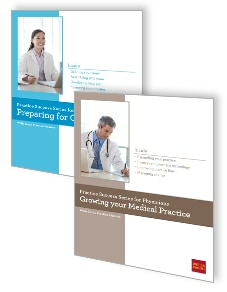 Get and keep your practice on track with support from our in-house Practice Management Group. Plan for upcoming changes or transitions. Track key practice statistics for 12 months. Learn how to measure performance, improve systems, and manage growth. Stay focused on your patients while our team helps you focus on keeping your project on time and on budget. Surround yourself with healthcare specialists who understand your needs and work with you to help you grow your business. To help you prepare to move forward, read Seven Steps to Take Before Getting a Business Loan. Longer term may be available; ask your Practice Finance representative for details. Loan limits vary per industry. Additional criteria apply for applications over $850,000. Practice Finance must have first position lien on the equipment financed. Up to 70% of loan amount request can be leasehold/tenant improvement. Applies to practice-related debt only. Existing Wells Fargo Practice Finance debt, Wells Fargo SBA Lending debt, and revolving credit are not eligible for consolidation. Wells Fargo Practice Finance is a division of Wells Fargo Bank N.A.